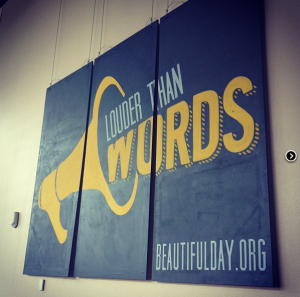 This year’s Beautiful Day logo is a megaphone blaring the words, “Louder Than Words”, and there’s maybe nothing louder than the action of more than 6,000 volunteers engaged in making a positive impact on Santa Clara County, the week of April 22-28. 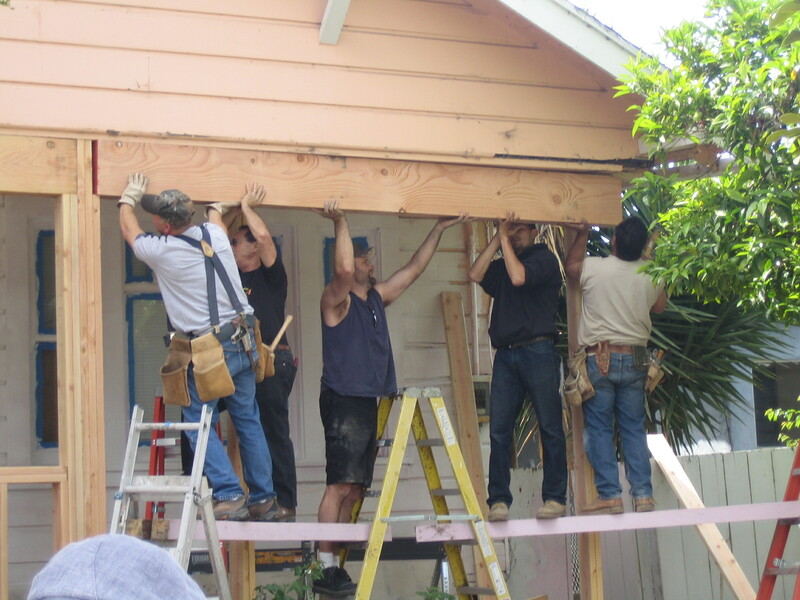 The nonprofit group collaborates annually with dozens of churches, agencies, nonprofits, companies, and individuals, for one week in April to fix up schools, homes, centers, parks, neighborhoods, and other public spaces. 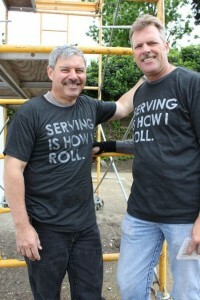 Last year an estimated 3,500 people volunteered during Beautiful Day week; 2,400 volunteered the year before. 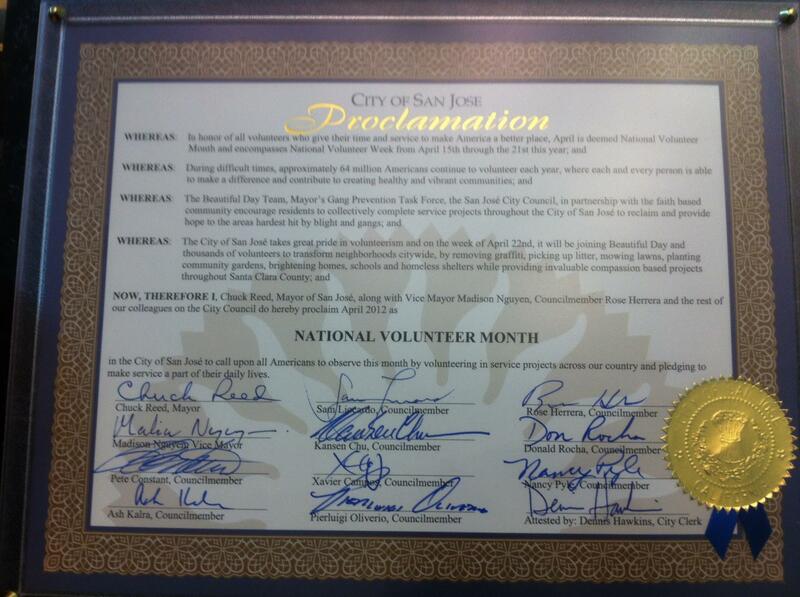 In recognition of next week’s large-scale Beautiful Day service event in all 10 districts of the city and neighboring communities, the San Jose City Council unanimously awarded the group a special proclamation at its meeting on Tuesday. 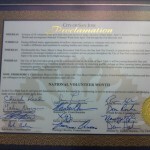 “I really think San Jose has the best cadre of volunteers in the whole country,” said Councilmember Rose Herrera, as she presented the proclamation to Beautiful Day Executive Director Jon Talbert and his team in honor of National Volunteer Month. Beautiful Day, San Jose’s largest annual volunteer service event, is back next month with ambitious plans to serve all 10 districts of the city, plus a nonprofit farm in Sunnyvale, and miles of the area’s freeways. With the theme of “Serving Our Community is How We Roll”, the organization is putting out a call for thousands of volunteers to take action between April 21 and 29. Most of the projects are taking place the weekend of April 28-29. The Beautiful Day website includes information on each project and an easy online registration form for those interested. From fixing houses, to rehabilitating school campuses, to cleaning creeks and putting on a carnival and dance for special needs students, there are numerous opportunities to serve. Many of the projects are family friendly. eyes: a place with a few rough characters, and all the social ills that come with being a neighborhood of people living on the margins of society. But recently, when the two found themselves leading possibly one of the largest community service projects ever in Alviso, their hearts melted and they began to see the neighborhood with softer eyes.